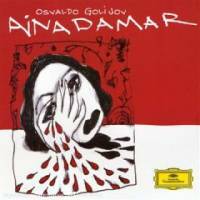 This world-premiere recording of Argentinean composer Osvaldo Golijov: Ainadamar, received the 2006 Grammy Awards for "Best Opera Recording" and "Best Classical Contemporary Composition." At first blush, a new opera meditating on the life and death of Spanish poet/playwright Federico Garcia Lorca seems an unlikely choice to be a chart hit. However, Osvaldo Golijov's "Ainadamar" is precisely that . . . Amid his gorgeous lyrical lines and brilliantly colored orchestration, Golijov embroiders the guitar and cante jondo ("deep song") idioms of traditional flamenco with lilting Afro-Cuban grooves and hypnotic field recordings made in Chiapas, Mexico . . . Upshaw's enthusiasm seems to be shared by audiences, programmers and critics alike. 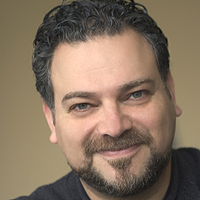 No one writing music today crosses stylistic barriers with more lyrical bravado and sheer compositional nerve than Osvaldo Golijov.
. . . beautifully produced . . . beguiling sensuality and original, compelling drama that relates art to politically frightful times, distant from but not entirely unlike our own . . . so powerful a vocal and dramatic presence is Dawn Upshaw's Xirgu that we experience Lorca's death through her own. Golijov . . . has become famous for his Latin charisma, which is once more splashed all over this enormously appealing and highly theatrical score . . . Kelly O'Connor, a dark, alluring mezzo who was plucked from the USC student vocal program to create the role of Lorca, is a find. And the conductor, Robert Spano, gets lovingly inside the music.